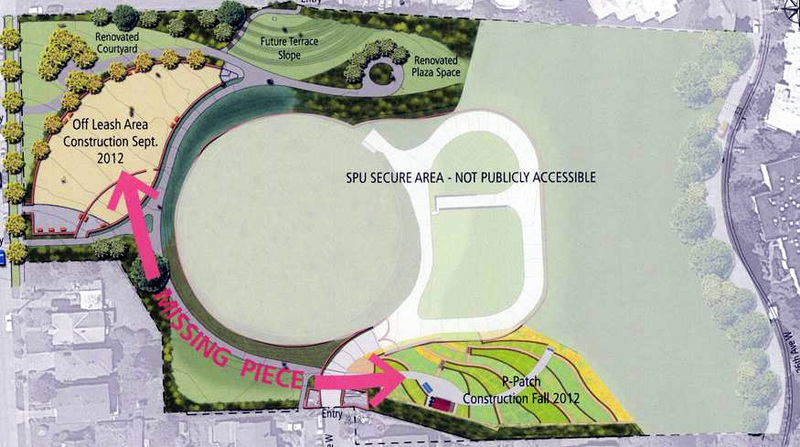 The Parks Levy Oversight Committee has recommended that funds to connect ‘the missing piece’ between the Manor P-Patch and the Off Leash Area be part of the Opportunity Grant list to be approved by the Seattle City Council later this summer. Also included is funding for renovation and rehabilitation of the plaza area along the north side of the park. This means that Manor Park truly becomes an integrated whole providing Magnolia residents with an array of accessible neighborhood recreational activities – a place for children to run and play, families to have a picnic, community gardening, an off leash area for dogs, and a place to relax and enjoy the wonderful views.